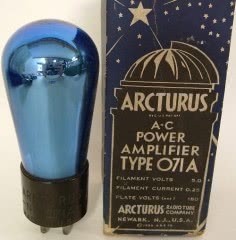 Here is something that you will not see everyday, an NOS NIB NEW Globe-style Arcturus blue-glass 071A audio output tube. Type 071A is also known as 71-A, 71A, 171A, 271A, 371A. 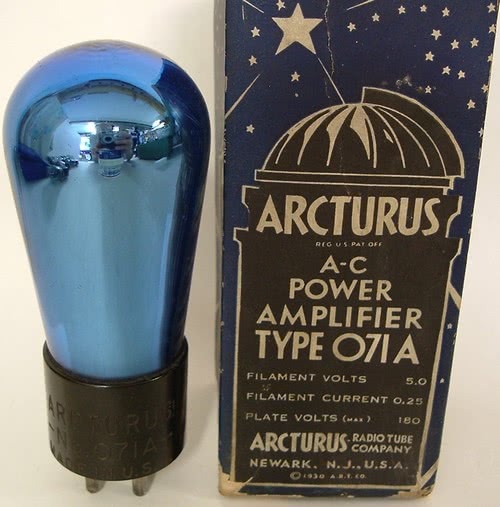 This tube has the star-logo on the top of the glass bulb with 071A inside the star logo. 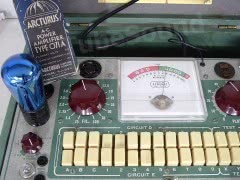 Engraved base reads “ARCTURUS – No. 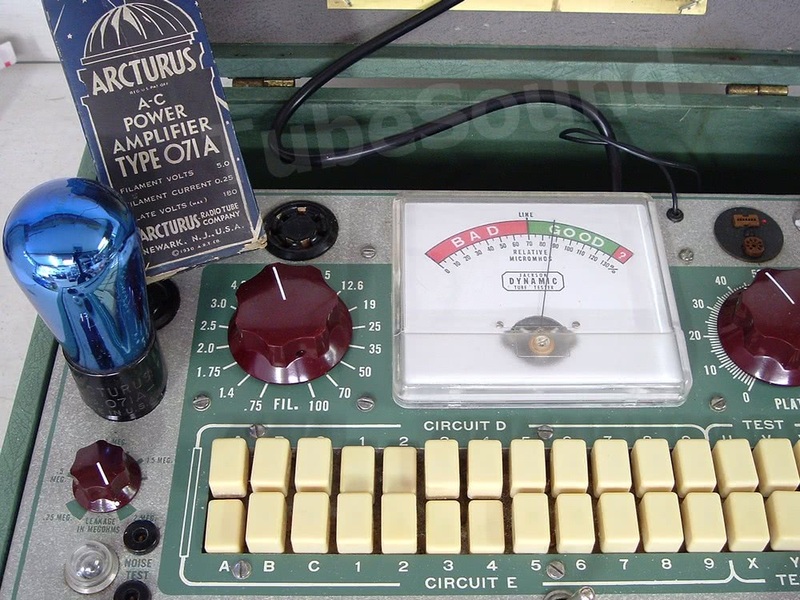 071A – MADE IN U.S.A.” The box has some creases and wrinkles and is missing topside lid. Tube is gorgeous. Tube has been sold. Thanks.